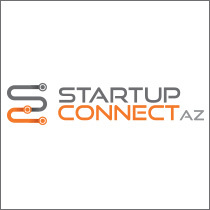 The Arizona Technology Council and Pitch Contest sponsor Hool Coury Law are looking for 5-7 amazing early-stage startup companies to pitch LIVE during the conference. The competition will be split into two parts. In the first round judging will be done by the audience who will view it as though they were its ideal customer then judge based primarily on how well it solves their problem and how likely they would be to use/buy it. The second round will be judged by a panel of experienced startup professionals who will be looking at your pitch from a more traditional investor and overall business potential perspective. Interested in applying? Click here to start the application process and get closer to the $2500-$5000 cash prize that will be given away at the event. May or may not be in revenue yet but has been in business less than two years. Applications are due by Saturday, November 28 and will be reviewed just after the Thanksgiving holiday. We are hoping to notify all finalists by Wednesday, December 2.